Christmas is round the corner, fancy doing something interesting? 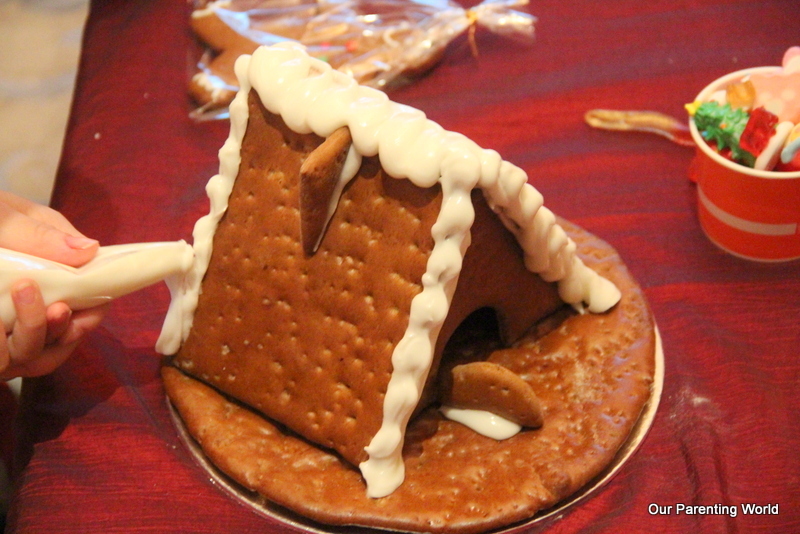 How about making your very own Gingerbread House? 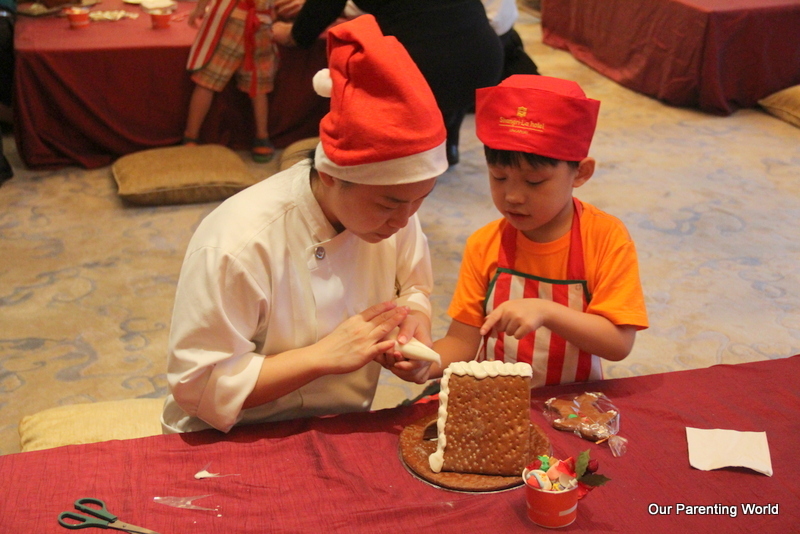 This Christmas season, back by popular demand, Shangri-La Hotel will be bringing back its much-anticipated Gingerbread House Decorating Workshop. 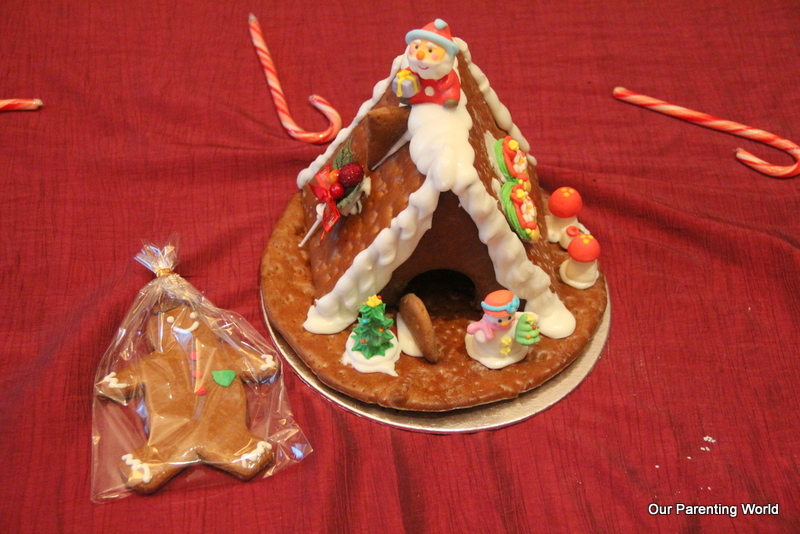 Children and even parents can look forward to create and bring home their own unique Gingerbread House together with a mini chef’s toque and apron as a festive memento for the kids. 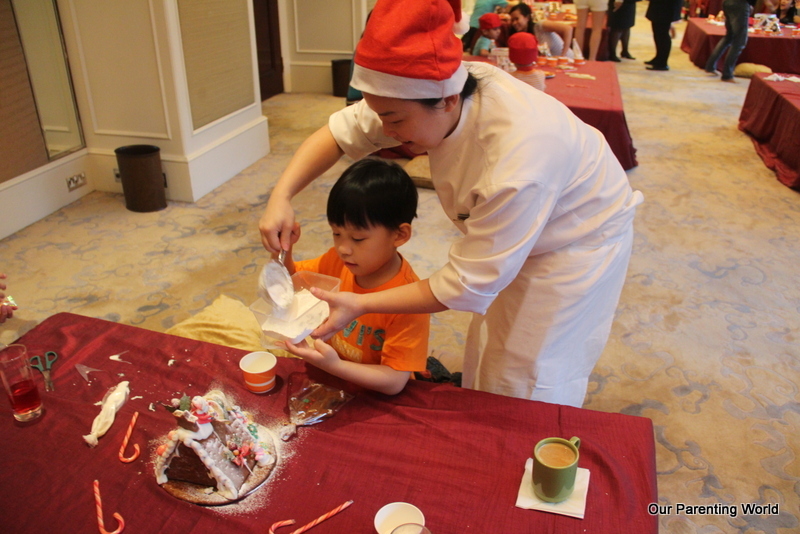 Before we start the workshop, Shangri-La Hotel generously provided everyone with a wide spread of lovely sweets, ornaments and cookies for the kids to exercise their creativity and imagination to make their own beautiful Gingerbread house. What a feast to the eyes! 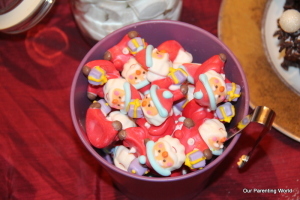 Children are delighted to see such an exquisite spread of sweets and ornaments. 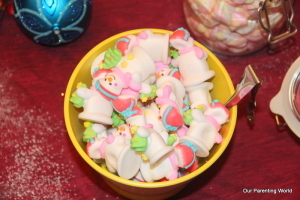 The sweets are so beautifully made that we won’t even bear to eat them. 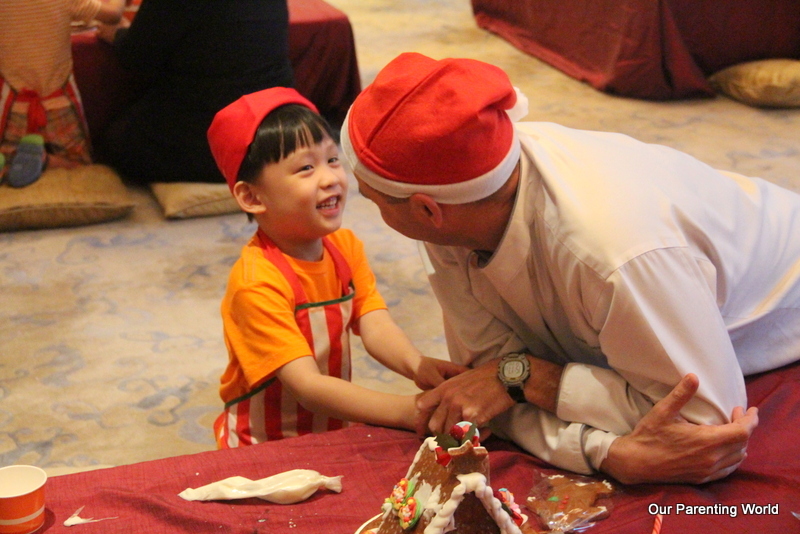 The Gingerbread House Decorating Workshop is conducted by Area Executive Pastry Chef Hervé Potus. 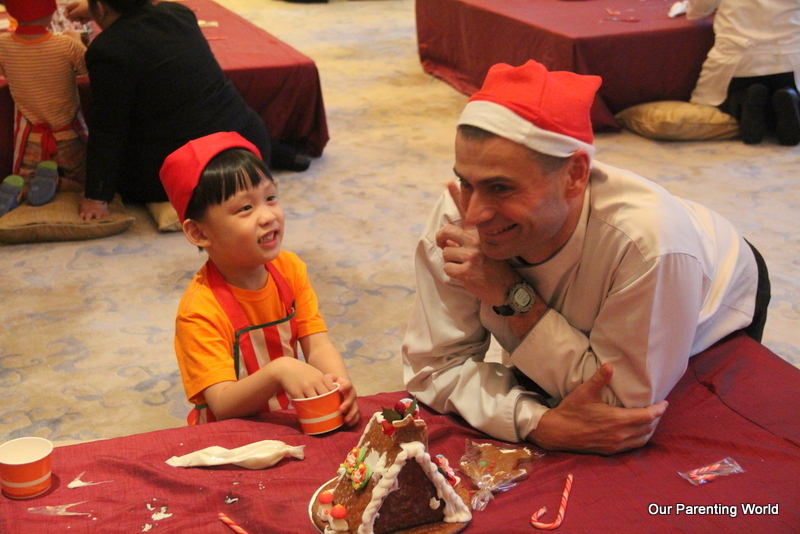 The children enjoyed mingling with the friendly Chef and learning how to make their own Gingerbread House. We can’t wait to start working on our creation. Chef and his friendly pastry team have been going round helping the children to create their own masterpieces. First we assemble the gingerbread house pieces and stack them up to form the shape of a house. Next, we cut off the tip of the plastic bag that contains the icing. 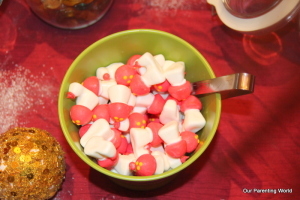 Use icing to hold the gingerbread house pieces together and it can also be used for decoration. 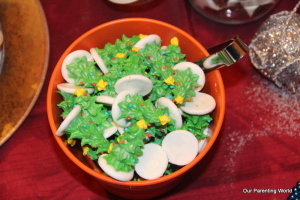 At the end, just sprinkle some white sanding sugar on top and around the Gingerbread House to create sparkly snow. 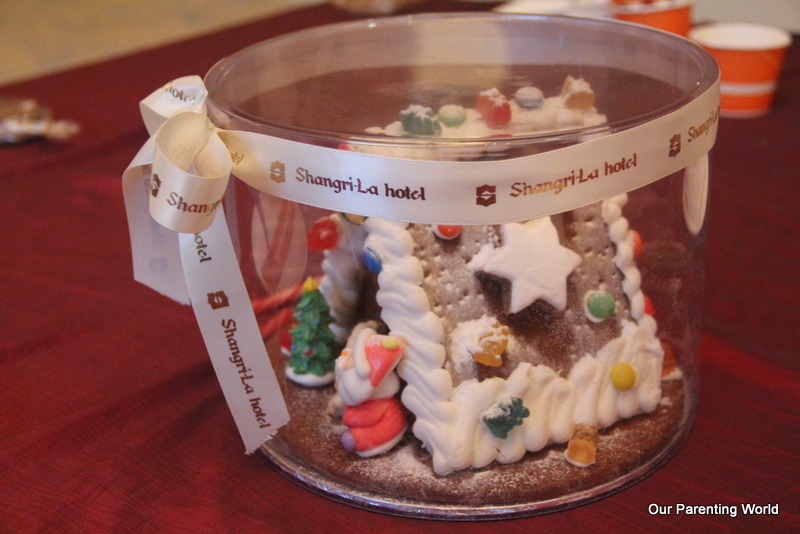 The above is a Gingerbread House sold by Shangri-La Hotel and even better, you will get to create your own personalised one at the workshop. After you have completed your creation, it will be nicely packed up for you to bring home. 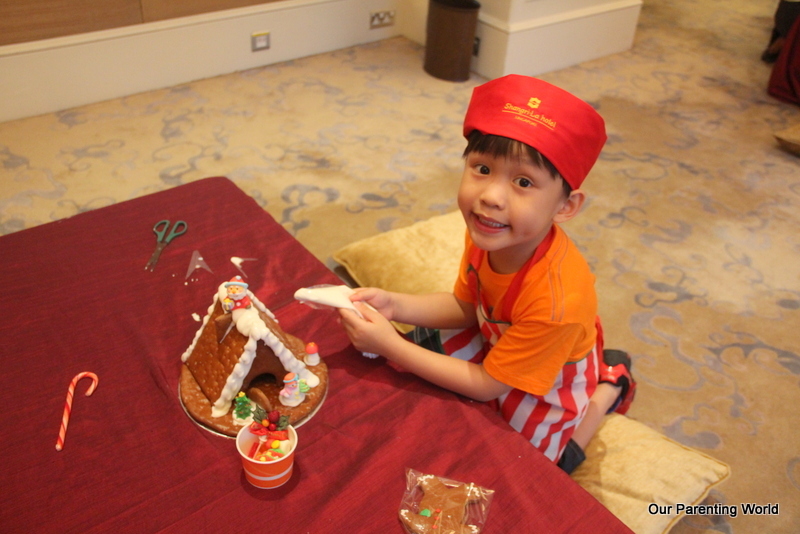 It is a fun and enjoyable session that is suitable for the whole family to bond together to make your own very unique Gingerbread House. 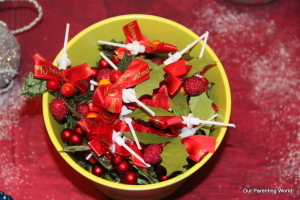 It is also a good way to soak in festive joys and celebrate Christmas! 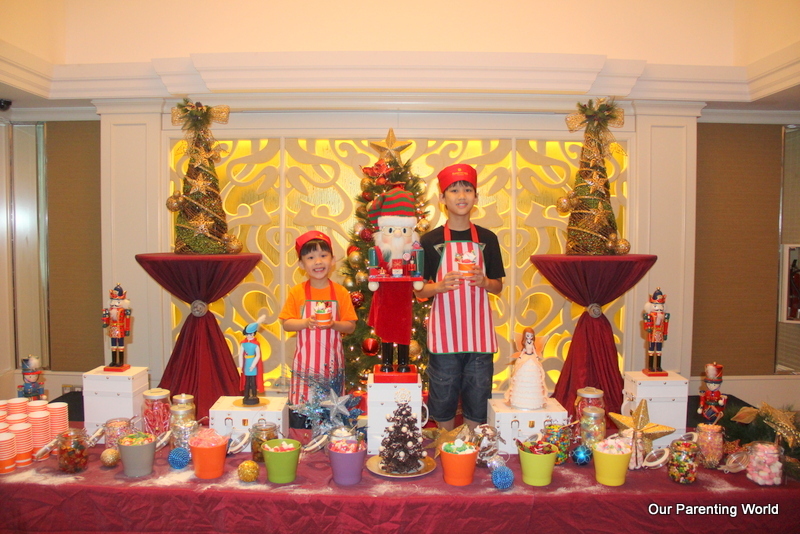 The Gingerbread House Decorating Workshop is priced at $98nett which includes a 90 minute session for one child (aged three to 12 years of age) accompanied by up to two adults. 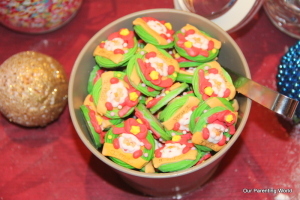 The Gingerbread House Decorating Workshop will be held on 5, 6, 12, 13, 19 and 20 December 2015 and available in two sessions each day, 11:00am to 12:30pm or 3:00pm to 4:30pm. 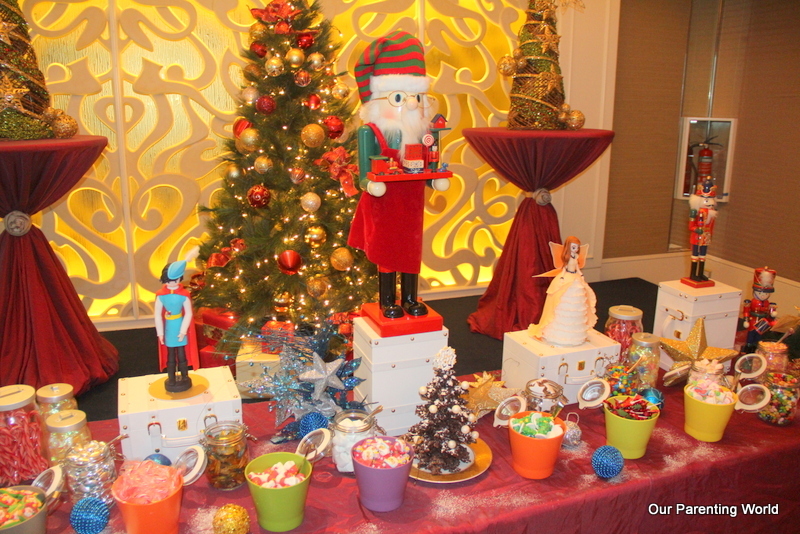 In addition, inspired by the magic of the festive season, Shangri-La Hotel, Singapore presents ‘Once Upon a Christmas’ a festive fairy tale extravaganza to celebrate the most joyous time of year. Discover traditional Christmas favourites at The Line, delight in charming handcrafted festive goodies at The Line Shop, indulge in three-tier afternoon tea at Lobby Court and high tea buffet at Rose Veranda, and savour tradition with a twist at Shang Palace, Nadaman and The Waterfall. 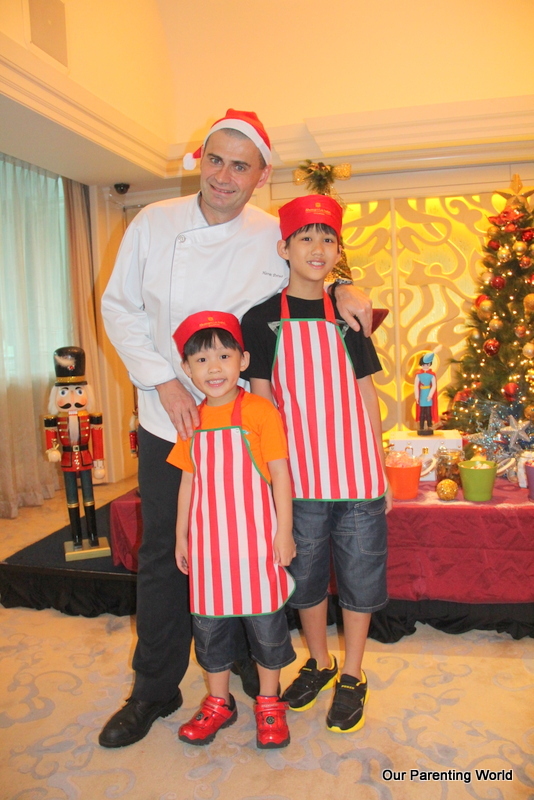 To find out and learn more about Shangri-La Hotel’s ‘Once Upon a Christmas’ festive offerings, please click HERE.